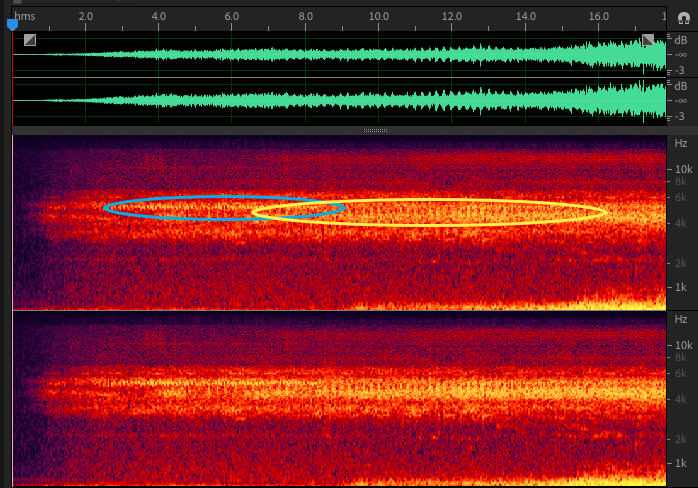 The sounds are very quiet, so I pulled them out of the video and normalized the waveform. Ah, much clearer! While there is some extremely faint birdsong at the 11 second mark, I think what you hearing and wondering about are insect calls. Crickets, katydids, grasshoppers, and cicadas all have very distinctive, precise sounds. Some have calls that “chirp”, but many make an unbroken buzz or whistle when they communicate with one another. Below is the spectral frequency display for the sound I linked above. I circled two key sounds that I think you might be hearing. The first, circled in blue, comes in around the two second mark. It is an even buzz somewhere between 5 kHz and 6 kHz. The second, circled in yellow, comes around the 7 second mark. It has a choppier sound to it, and it has a slightly lower frequency, right around 5 kHz. At this point, I would like to guide your eyes and ears to the Song of Insects website, which has a great page of various Orthopteran sounds and calls from the United States. If you click a few of those sound recordings, you will be introduced to the variety and scope of the sounds produced by these insects. 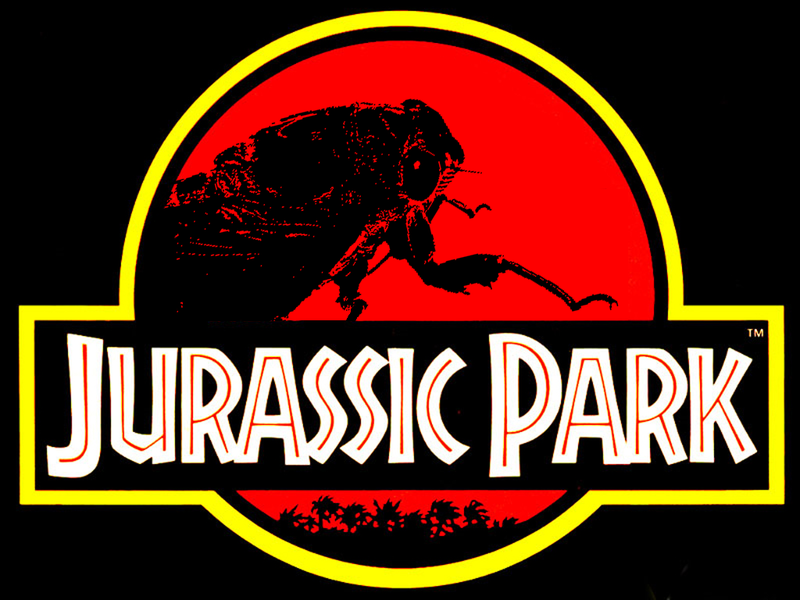 Neither of these seem to be exact matches for the sounds heard in Jurassic Park, but they should be similar enough to demonstrate that we are hearing insects instead of a bird. Crickets, cicadas, locusts, katydids, wetas, and other similar noisy insects are all animals in the order Orthoptera. There are 20,000 species of Orthopterans on this planet, and many of them raise or lower the frequency of their song depending on the temperature of the air around them. 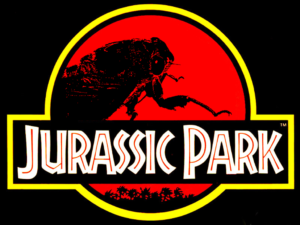 Thus, without having an entomologist on hand or knowing where the foley artist took their recordings from, it would be folly to try to track down the specific species of insect that made each of the calls in the Jurassic Park logo screen. It’s possible all the insect calls were taken in a single location, but with how they fade in and out over each other, it’s more likely the foley artist took separate calls from different recordings and faded them in and out. We could be hearing crickets and cicadas from different continents. Thank you for the great question, Westley Dallas!